Each pocket holds up to 50 sheets of A4 paper (pockets expand up to 30 mm each). All pockets tabbed for easy identification and access. Tab inserts included. Practical A4 Conference Compendium with pad. 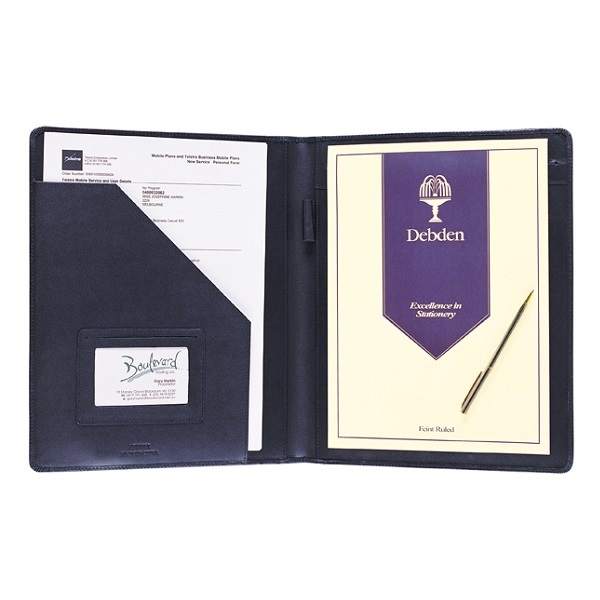 Compact A4 Compendium-style Conference Portfolio made from soft touch PU with a complete zip around. This organiser can be used to hold a notepad, business cards, notes and more. Complete with an A4 lined notepad so you can write notes right away. Spirax A4 coloured zippered compendiums are the perfect travel solution for business people on the move. Sleek, stylish design with soft suedette finish, thick cotton matching coloured lining and black zip closure. Features A4 notepad with 120 pages 7mm ruled, three business card holders, two large loose page pockets on left hand side and I.D. display, elastic pen-loop and calculator. Be inspiraxed... The Executive Zippered Compendium is a compact briefcase and notebook in one. This A4 sized zippered compendium is constructed from durable PU with retractable handle to make it easier to carry. 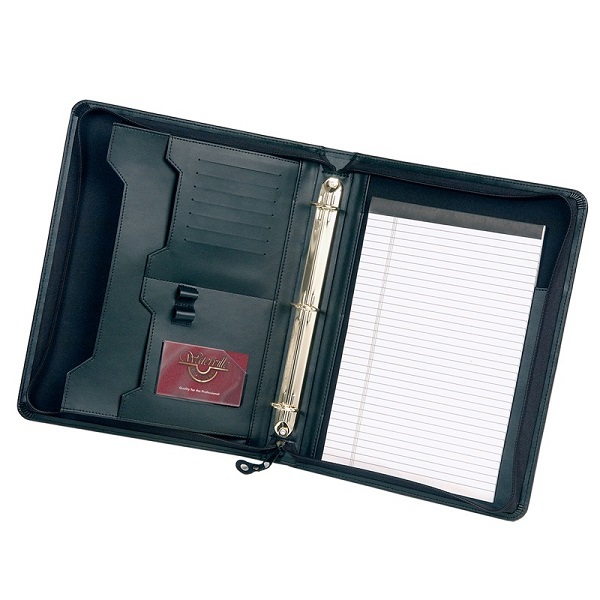 Multiple ancillary pockets for storage of documents and business cards. Zippered padded vinyl cover with rounded corners and brassed 30 mm high quality 3 'O' ring metal binder to inside of spine. Features 25 mm gussetted A4 pocket with twin half pockets, two business card storage pockets, a clear business card window and pen loop. Supplied with quality Buff A4 lined writing pad. 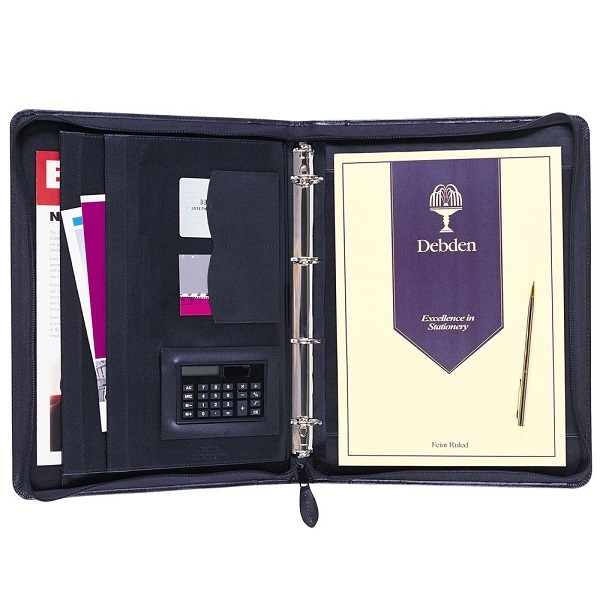 An Executive A4 Zip Around Compendium with 4 ring binder mechanism to combine function and style. It has a soft PU cover with a zip closure to keep your items safely inside. Features expandable storage pockets to hold your notes, booklets, brochures and business cards. Complete with A4 lined note pad, stylish pen and calculator. An Executive A4 Portfolio with handles. 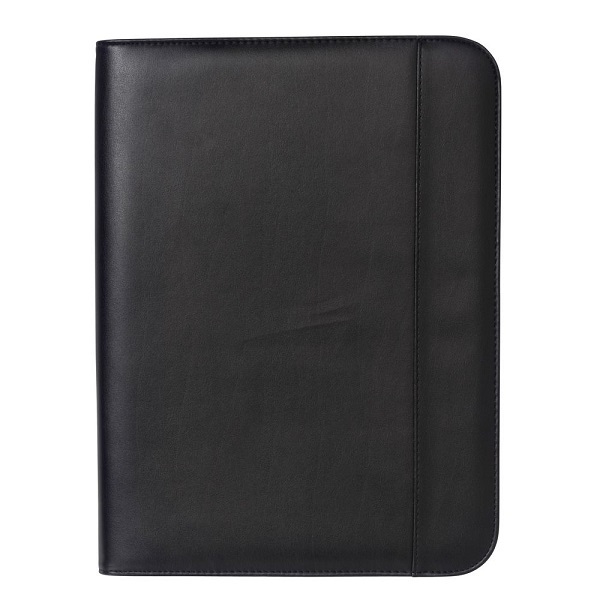 This zippered portfolio is constructed from leather-look, soft, durable PU with convenient handles sliding into the cover. Features a useful four ring binder, A4 note pad and pen-loop, card slots and several expandable storage pockets.